Dil was born on April 11, 1943, at Ghungraali Sikhaan, in Samrala. 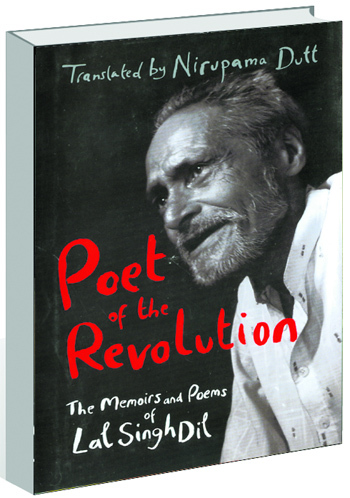 His was a life of immense struggle and his poetry made him a legend well within his lifetime. His tragic life epitomised the fact that the plight of a Dalit never changed. Whether as a Muslim or a Naxalite — he remained an outcast (or more aptly, an outcaste) always. Buffeted around by life and people who discriminated against him. Be it as a child who could never be centre stage, or a teacher whose glass (in which he drank water) was ‘purified’ by throwing it into the fire and then into water with tongs. The resulting crackling sound had haunted him forever. He embraced Islam, first becoming Muhammad Bushra, then Wali Muhammad to find peace and justice. Saadat Hasan Manto was born on May 11, 1912. He was the leading Urdu short-story writer of the twentieth century of Kashmiri ancestry, who was born in Samrala in the Ludhiana district of Punjab. He completed matric in 1931. He was a journalist, critic and film writer. He worked for All India Radio during World War II and was a successful screen-writer in Bombay before moving to Pakistan during Partition of India. During his controversial two-decade career, Manto published twenty-two collections of stories, seven collections of radio plays, three collections of essays, and a novel. He is best known for his short stories – over 250 in 2 decades, many of which have been enacted in plays and films. Here is a review of Rabba..in Frontline. Hope you enjoy it. ON a balmy afternoon under the monsoon sky in Atalahn village in Punjab’s Ludhiana district, four elderly men sitting under a banyan tree are animatedly discussing Urdu. “A beautiful language, with nuances neither Hindi nor Punjabi can equal,” says one. “It’s our language, forged from Arabic and Punjabi,” says another. The third one remembers how, when Partition was announced, “all of us in Class III, studying lesson number 14 in Urdu, threw our Qua’ida in the air and said, ‘Urdu ud gaya, Urdu ud gaya’ [Urdu has flown away].” The fourth friend ruminates: “We used to think Urdu belonged to Muslims; nobody knew it was a language.” Sixty years on, the partition of India continues to cast a shadow on the subcontinent, shaping individual destinies and cultural lives in unforeseen ways – constantly provoking new explorations to unravel its many dimensions. How does a society or a generation culturally come to terms with having lived through a moral vacuum at a time of genocidal violence?